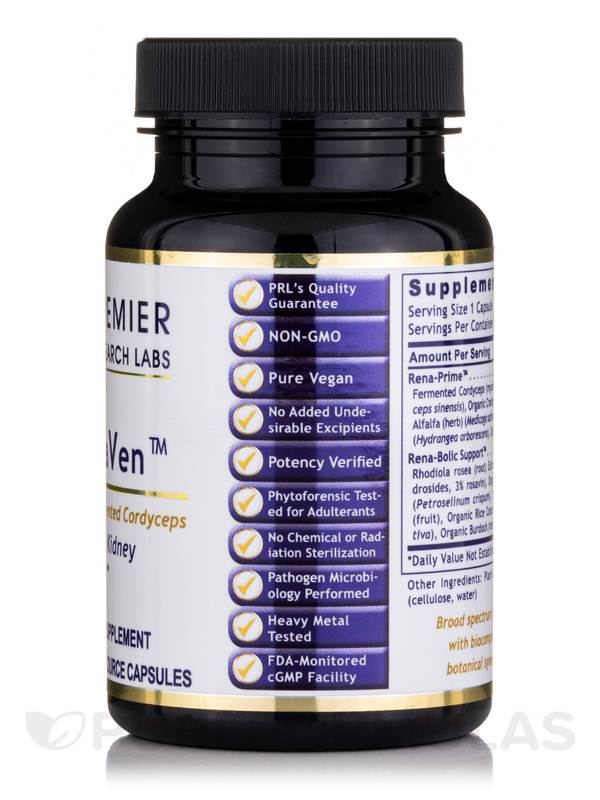 RenaVen by Premier Research Labs helps very well with my urinary inflammation issues! RenaVen by Premier Research Labs helps my kidneys function better and I don't fill up with fluid. Your kidneys are essential to your health. The fist-sized‚ bean-shaped organs are found on the sides of your spine‚ and filter excess waste and water out of your blood through urine. At the same time‚ they may also support cardiovascular health. Finally‚ they produce several essential hormones. What happens when they get damaged? Kidneys that don’t work properly can’t filter the blood‚ allowing waste to build up in your body. Agari-Plex Detox™ contains natural fruits‚ vegetables‚ and herbs. Agari-Pro™ provides Agaricus Bisporous extract that comes from a type of mushroom and may help strengthen the kidneys‚ even if they’ve been previously damaged. Cordi-Detox™ uses Cordyceps Sinesis‚ another kind of fungi‚ to provide assistance in rebuilding the kidneys. It may also have other positive health effects. These ingredients have been used in traditional Chinese medicine for centuries. 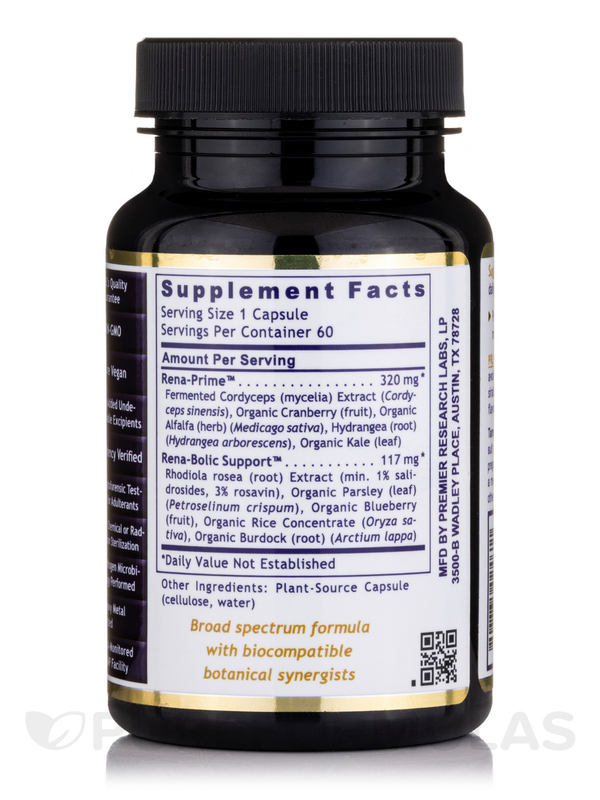 This supplement provides the nutritional support it needs to function optimally. 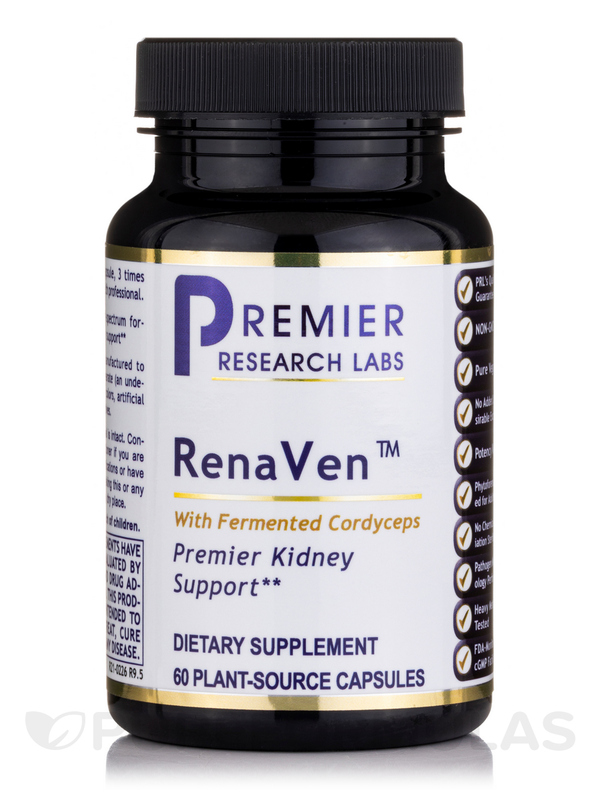 RenaVen™ was formerly known as Kidney Complex: it has a new name‚ but it’s the same product! Each bottle contains 60 vegetable capsules. Fermented cordyceps (mycelia) extract (cordyceps sinensis)‚ cranberry (fruit)‚ lovage (root) (levisticum officinale)‚ hydrangea (root) (hydrangea arborescens)‚ organic kale (leaf). 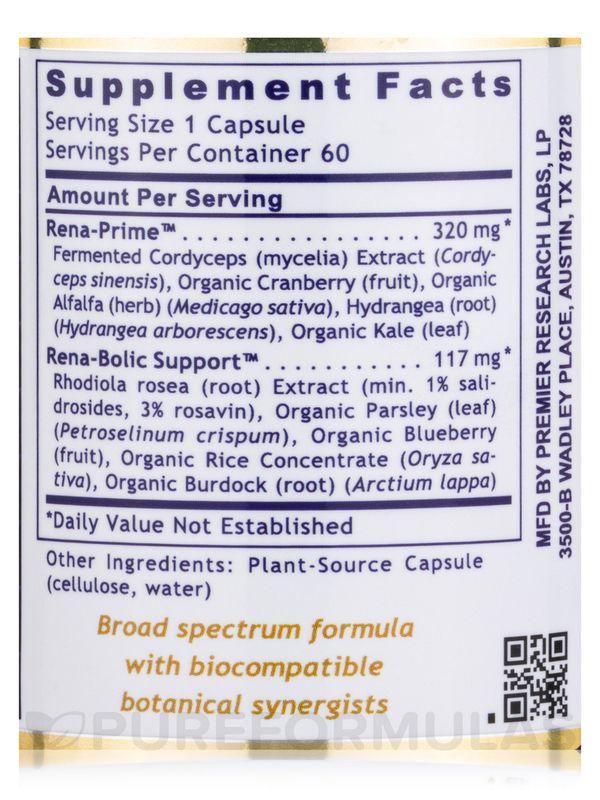 Rhodiola rosea (root) extract‚ organic parsley (leaf) (petroselinum crispum)‚ organic blueberry (fruit)‚ organic rice concentrate (oryza sativa)‚ organic burdock (root) (arctium lappa). Pure Vegan / Vegetarian / Non-GMO. I feel it diffidently helps with kidney function. Hard to go without. Pricey and you have to take it more than once a day. 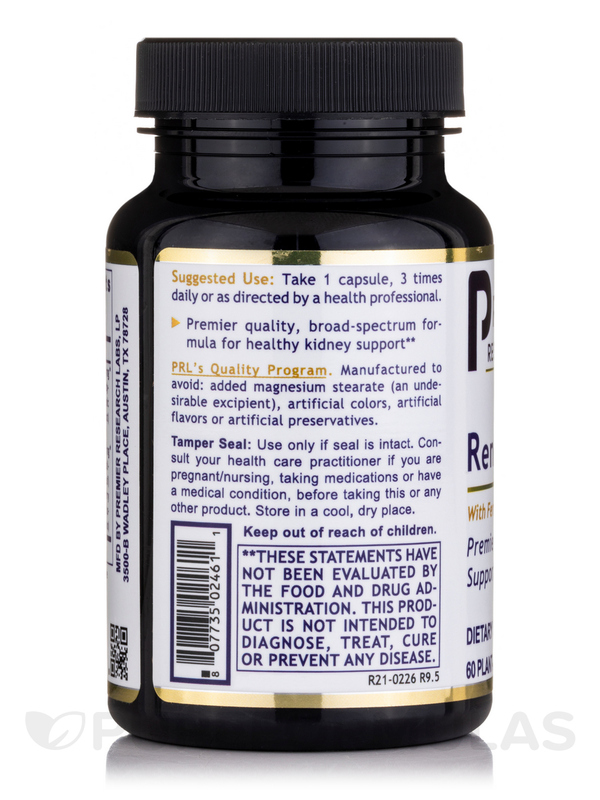 I believe RenaVen by Premier Research Labs needs to be used by everyone at least once a year to keep the kidneys flushed. When I take this for about 2 weeks straight, I even notice that the slight achyness in my lower back has dissipated. My doctor prescribes many Premier Research Labs formulas like this RenaVen™. This is a part of my program to deal with Crohn's and I feel great with it. 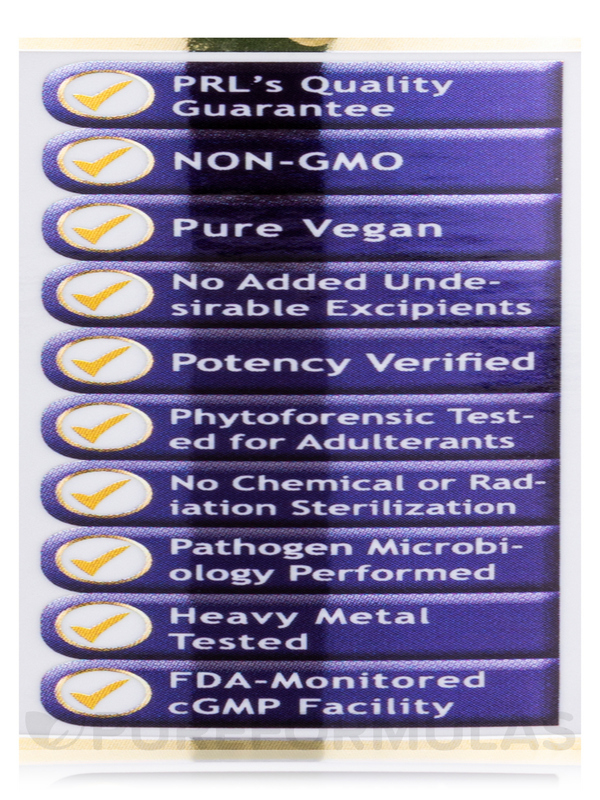 I've been using RenaVen by Premier Research Labs for about 6 years, since a doctor who my daughter worked for, suggested I try RenaVen. The doctor believes in natural products, and he thought everything in RenaVen would be beneficial to me, to help cleanse my kidneys, since I have acute kidney disease. I have to say it has really helped me. I highly recommend it. It has helped my kidneys to function as well as they have been over these last so many years. Very pleased. I also got other ones to start taking them too. Nothing, other than I wish the price was a bit cheaper. Especially when a person is on a fixed income. Taking RenaVen by Premier Reasearch Labs to protect my kidneys from treatment that I'm receiving. I've gotten 3 lab work done to check kidney function and so far everything has been staying normal. 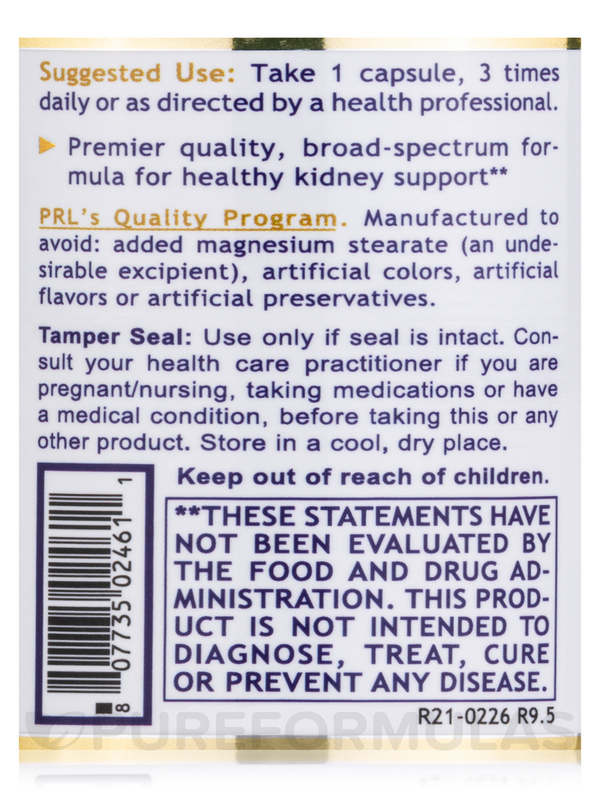 It's not as powerful and effective as I thought RenaVen (formerly Kidney Complex) by Premier Research Labs would be, but somehow it helps with my problem. RenaVen (formerly Kidney Complex) by Premier Research Labs really helps my kidneys function better. I have very high blood pressure and my kidneys are very stressed, RenaVen really helps! Thank you for reaching out to us, Jeri. This is a question that your trusted healthcare practitioner would need to answer. They would be able to give you the best response possible since they’d be familiar with your particular health history.